We are taught in life to expect the unexpected. The unexpected is what happened to Ridge, 8 months after a one night stand that Ridge was having a hard time forgetting. Being the first at the scene of an accident, staying with this woman until help can arrive. He doesn’t stop there, something is telling him to follow the ambulance to the hospital. While giving his report of events to the police, he receives a phone call telling him that he needs to go to the hospital. Turns out the woman he helped from the accident was his one night stand- Melissa; and she’s 8 months pregnant. Currently in a coma, she had listed Ridge as her next of contact. Ridge is really a too good to be true main character. Really there is nothing wrong with him. Poor Melissa has everything that she’s ever wanted in life only to have it all taken away. Ridge is learning to live in his new reality when he meets Kendall. Trying to figure out how to be a single father, doing what is best for his son as well has having a life of his own. 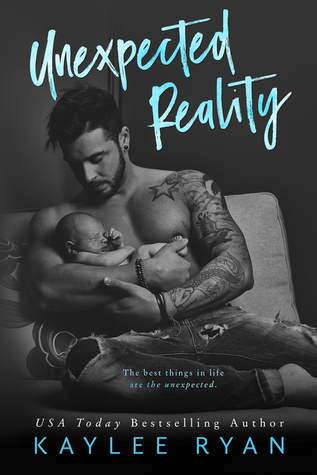 Kendall has been burned by men in the past but she is drawn to Ridge and Baby Knox. This story was a bit too sweet for me. I was hoping for angst, a little more drama. Everything just came together to easy. That being said I did enjoy the book.